Source: What’s LUCK got to do with it? There has been massive talk about the Powerball lottery. 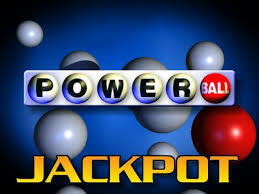 Everywhere throughout the country people of all ages are wishing, praying, and hoping to get the winning numbers, putting their faith in a lottery ticket. A lot of people mention that it is a fun thing to do. They spent dollars every day and attempt to win the lottery. A man even purchases $100,000 worth of tickets online, attempting to be the lucky winner! Still, this man invested a load of dollars into nothing! While money is necessary for us to live, the Bible teaches that it is better to give than to receive. What am I trying to say? (you may ask) I’m trying to say that this life is about making investments. I am not talking about earthly investments, but heavenly investments. What good would it be to win the lottery and buy myself a big house, big car, expensive clothes, and lose my soul? If you ask me, am I trying to win the lottery? Not at all. I’m trying to store up treasures in heaven.